My first full day in Mexico City I chose to visit Museum of Modern Art (Museo de Arte Moderno) located at Chapultepec Park. Mainly I wanted to see Frida Kahlo’s famous painting Las dos Fridas but I knew there would be other great artwork at the museum. There is also a cool outdoor sculpture garden and a cafe. 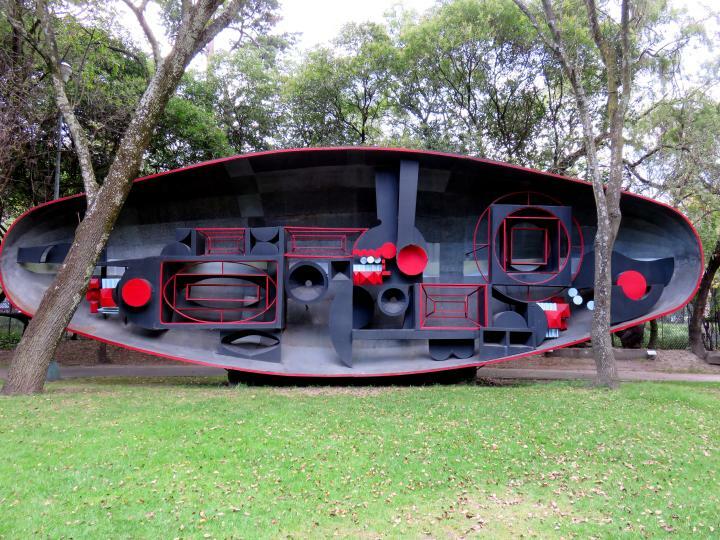 For any art lover the Museum of Modern Art is the perfect place to spend a morning or afternoon in Mexico City. I walked from my Airbnb apartment in nearby La Condesa neighborhood. Spending the Thanksgiving week in Mexico City was a good choice. As an art lover I couldn’t be happier, there are many quality art museums in Mexico City. 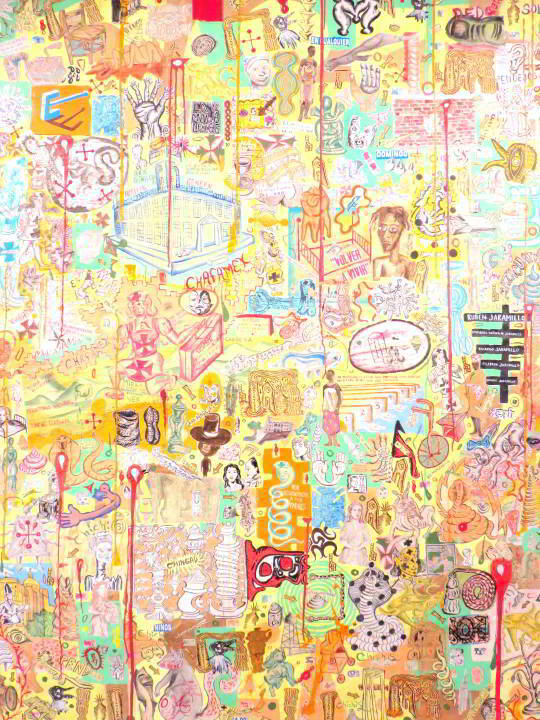 Modern art is a favorite of mine even though I can’t fully explain why I enjoy looking at some of the art works. The weather cooperated with my plans for spending much of my time walking around the city. The skies were clear most days, not a drop of rain during the whole eight days I enjoyed on my first solo trip to Mexico City. The walk to Chapultepec park was pleasant and I was greeted at the entrance by the squirrels – they are a playful bunch. I entered the park from the south and walked up towards the Museum of Modern Art. 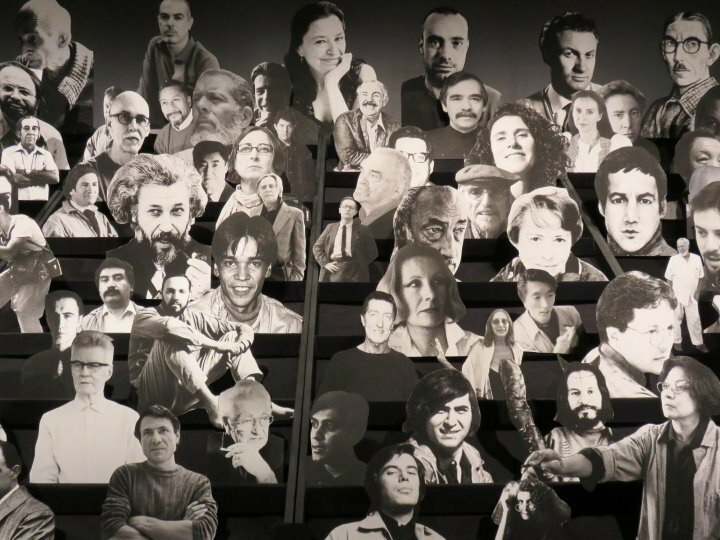 Museo de Arte Moderno was celebrating its 50th anniversary in 2014. 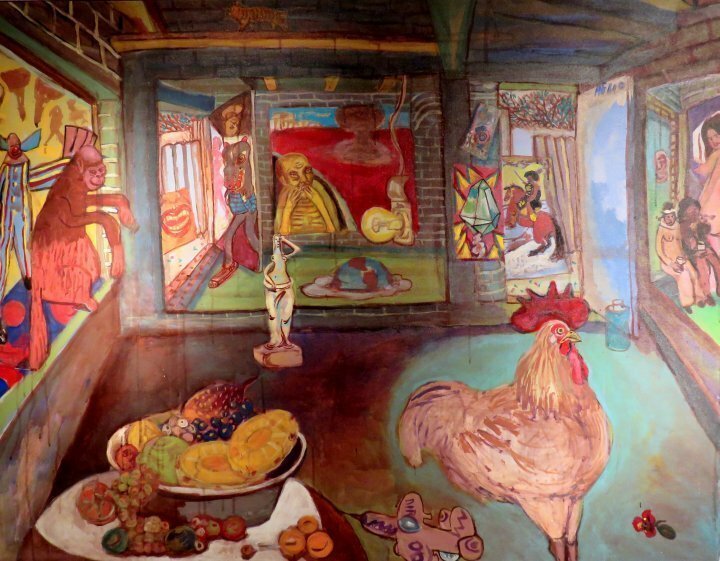 One of the delightful exhibits – 50 años obras – featured artists from the 5 decades of its existence. 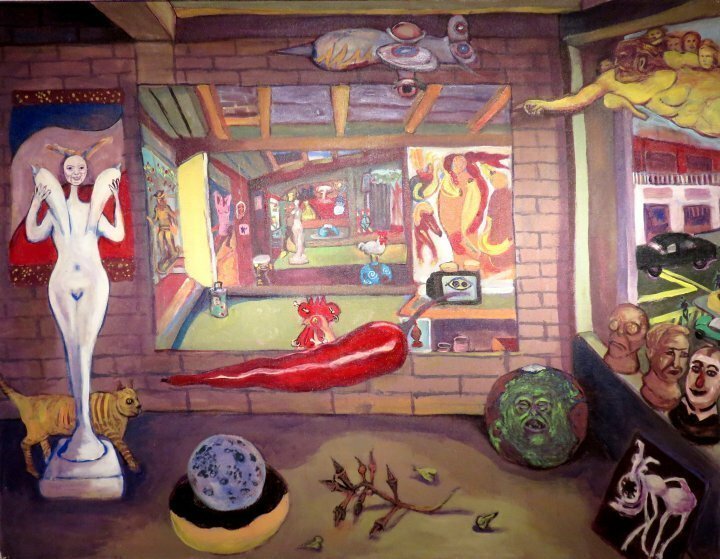 It was set up as if the artists were all seated around the viewer as they walked around the room. 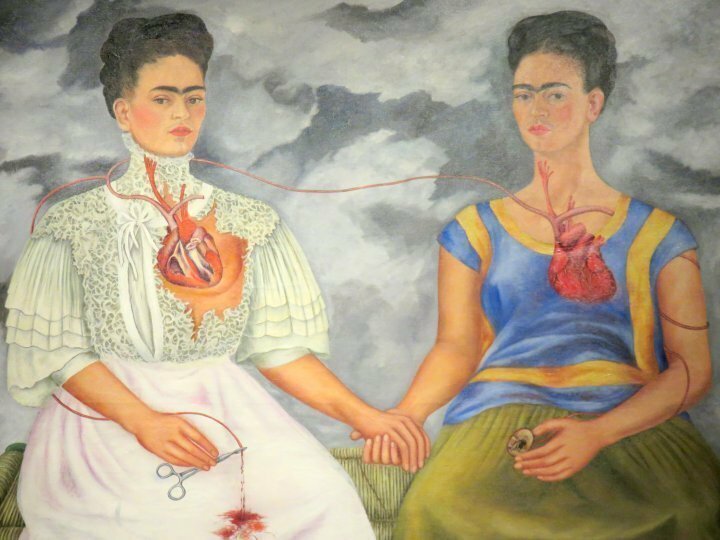 One of the most popular paintings at the Museo de Arte Moderno is Frida Kahlo’s famous painting Las dos Fridas. I adore Frida Kahlo. What a life she lived. There was much pain in Frida Kahlo’s life, both physical and emotional, and she expressed it through her art work. If you are a Frida Kahlo fan I highly recommend visiting the Frida Kahlo Museum in Coyoacan neighborhood of Mexico City. Modern art is something I seek out in every city that I visit and Mexico City is an art lover’s paradise. There is plenty of public art and such an abundance of art museums that I only visited a fraction of them. I will have to return to explore more of Mexico City’s vibrant art scene. Even if you don’t want to see the art work it is worth a visit to see the grand architecture of the Palacio de Bellas Artes. 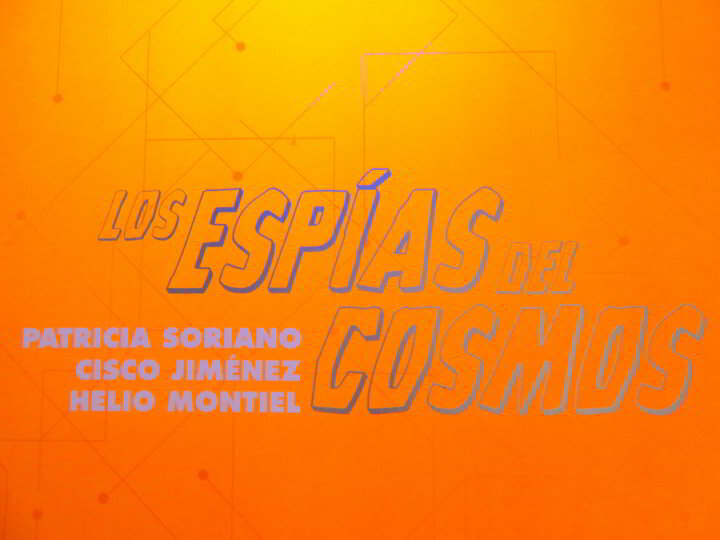 I enjoyed the exhibit Los Espias del Cosmos featuring the artists Patricia Soriano, Cisco Jimenez, and Helio Montiel. I believe art is for the viewer to interpret individually and while I cannot fully explain why I like certain works of art, I know I enjoy the experience of viewing the work. There are paintings and sculptures at the Blanton Museum in Austin Texas that I visit on a regular basis – still couldn’t tell you what they are about or why I love them (Rothko for example) but I am attracted to contemporary art more so than the masters. The contemporary art in Mexico City was impressive. 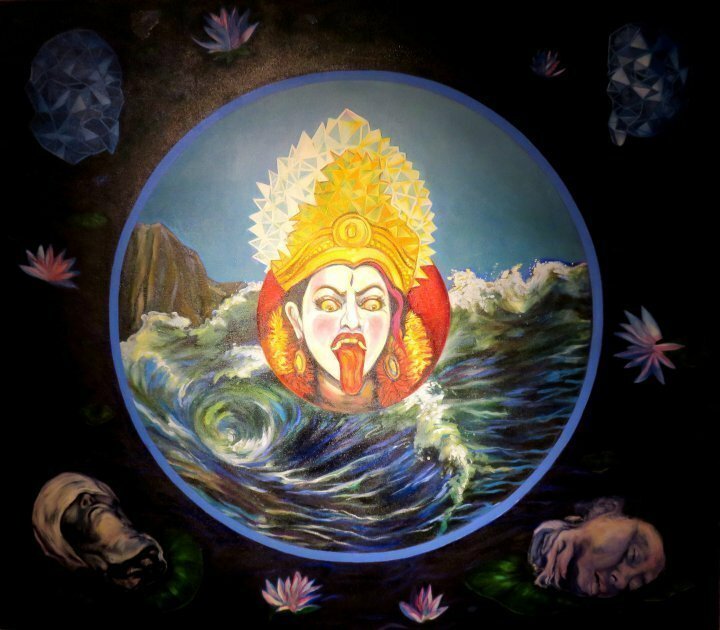 Some of the art work is whimsical while other pieces evoke deep emotion and make a strong statements about the political climate or living conditions of the regular folks just trying to live and get by. The outdoor sculpture gallery features more contemporary art my Latin American artists. I recommend a stroll around the grounds to view the artwork of the outdoor gallery. All the walking left me feeling hungry so I stopped in at the café on the grounds of the Museo de Arte Moderno. There is indoor and outdoor seating at the cafe and if the weather is nice you will want to sit outside with a view of the sculpture garden. I enjoyed the best tiramisu ever, along with a cappuccino and I was ready for more walking in marvelous Mexico City. Art, cake, and coffee – what more do you need?! Art, cake and coffee – great combo. I like a lot of modern art, but not all. That being said, I enjoy going to modern art exhibits and this one looks well worth seeing. Hi Donna, I hope you get to visit the Museum of Modern Art in Mexico City some day soon. It is a fantastic museum and it is in a great setting as well. There are several museums in Chapultepec Park – one could spend several days exploring all there is to see there! This looks like such a wonderful museum. It’s on my list!! I veer way off my normal healthy eating habits when I am traveling – I am pretty sure I walk it all off – that tiramisu was divine! I adore Mexico City and its many art museums are one of the big reasons. And walking, just taking off and walking through the city for hours. That said, it is way too long since I have been there… hard to explain, even to myself, since I live only three hours away by bus. I think I need to move it up, way up, on the To-Do list. Thanks for the reminder. Hi Donna, so glad you adore Mexico City too! With the great art, food, history, people, culture – it is an amazing city. Hop on that bus and enjoy some time well spent in Mexico City soon! Hi Paula, it’s a long way from Australia but I think you would love it! You could explore the city via the coffee shops and art museums. 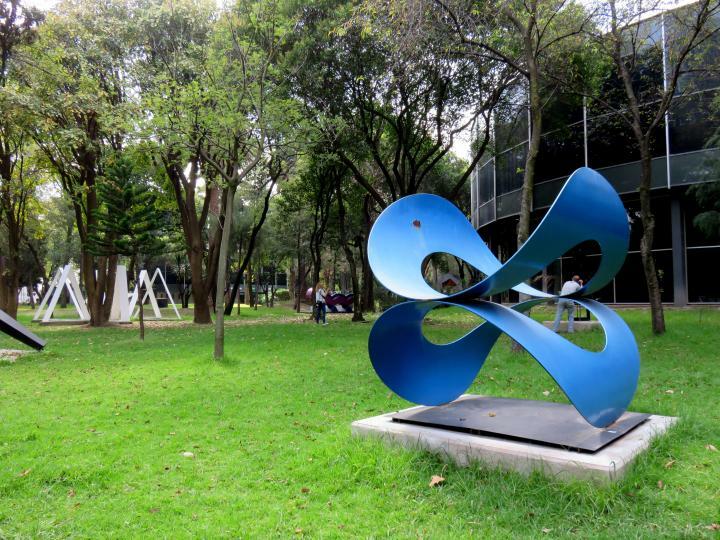 The Museo de Arte Moderno looks like a great place for contemporary art with a Mexican flavor. I would also enjoy seeing Frida Kahlo’s art. The tiramisu looks yummy too! 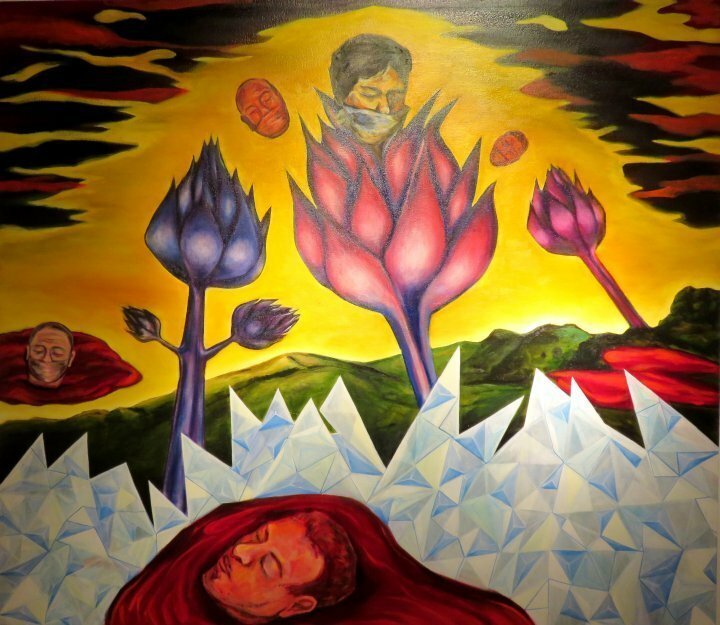 Hi Shelley, Hope you get to visit Mexico City and the Museo de Arte Moderno along with Frida Kahlo Museum – and lots of yummy food along in between! OMG totally missed this one when we were right on Chapultepec Hill in 2009! Frida Kahlo is one of my favorites. Tiramisu, on the other hand, is my husband’s so we would have both been happy! Carol you and your husband both missed out! You must return to Mexico City and indulge your senses! Thanks for sharing that fab Mexican art. They colors are so vivid and alive. I love the more whimsical paintings. I am glad you enjoyed it! I am definitely drawn to the more vibrant colors and enjoy getting lost in all the scenes within the paintings. What a great way to celebrate your first day in Mexico City! The museum appears to have a marvelous first-rate collection of contemporary genius. Thank you for sharing. It was a marvelous first day in Mexico City! Glad you enjoyed it Betsy! I’ve missed visiting the Museo de Arte Moderno in Chapultepec Park, though I’ve been to the anthropology museum several times. It usually seems that I have time for only one. Thanks for taking me along vicariously. If you haven’t been, you might enjoy the Soumaya museum. Hope you get to Museo de Arte Moderno next time around Carole. I also visited the Museum of Anthropology, and Rufino Tamayo Museum, Frida Kahlo Museum, Natural History Museum, and Palacio de Bella Artes. I couldn’t limit myself to just one! Thank you for the info about Soumaya Museum, I will add it to my list for next visit. 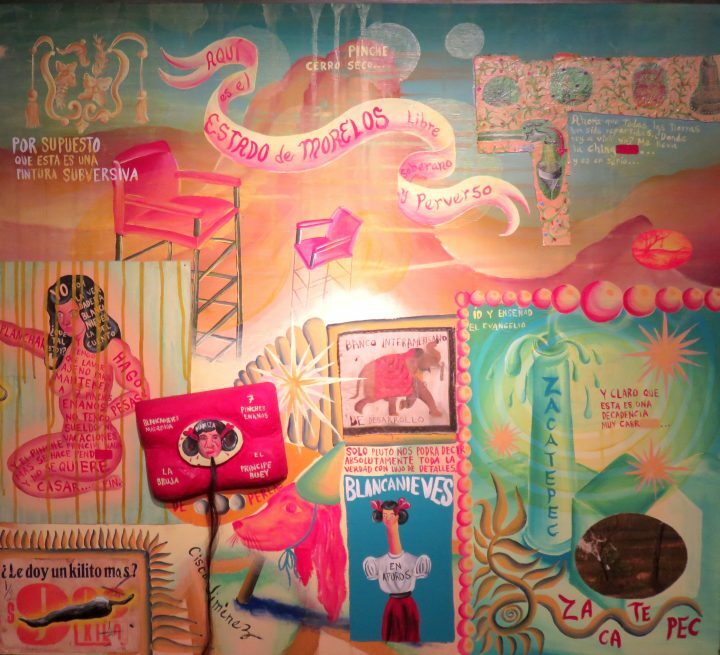 There are so many great museums in Mexico City – it really is a city for Art Lovers! “A lot more happens when you open yourself up to the work and let yourself act and react to it”. Linda, thank you much for you comment. Good points you make about art appreciation – I love the quote from David Lynch. 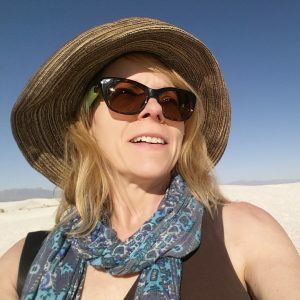 Much like I need my travel fix every now and then I also need my modern art fix – or as you put it, much more eloquently, “soul replenishment dates” – keeps me grounded. We haven’t been to Mexico City yet, but when we do go this will certainly be on our to do list. Thanks! I hope you enjoy it as much as I did – what a grand city with many incredible museums. I find I’m not that fond of much “modern” art, but there is plenty to do and see in Chapultepec Park. As someone else mentioned, the Museum of Anthropology there is one of Mexico ‘ s flagship museums and there were some great larger than life bronze sculptures along the road leading there. We also walked from Condesa. Indeed Suzanne, there is something for everyone at Chapultepec Park in Mexico City – I visited all the museums there including the Museum of Anthropology. The walk from La Condesa is lovely, such a wonderful neighborhood. Haven’t been to Mexico City but I absolutely love visiting art museums when we travel. 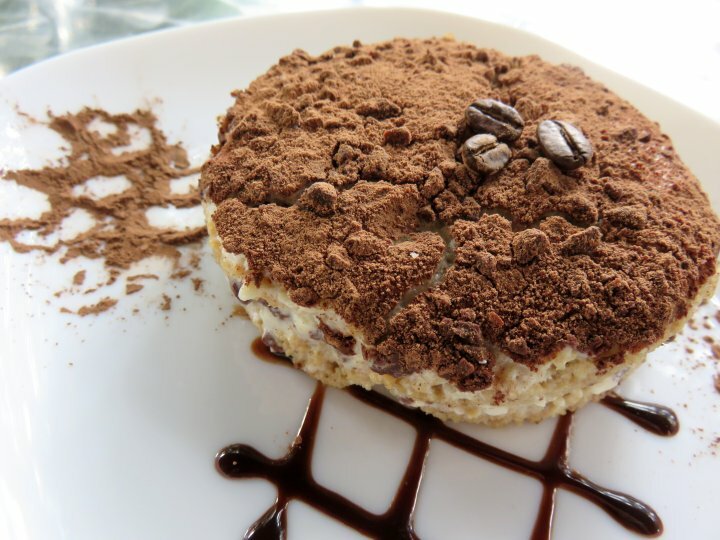 And knowing that some delicious tiramisu is waiting to be enjoyed after the visit is extra incentive to get there. Thanks for sharing the photos too! Sue, I think you will fall in love with Mexico City, there are so many great art museums and historical sites. I think the tiramisu is a very nice incentive too! I don’t have any plans in the near future to visit Mexico City, but I sure loved reading about the museum. And… you had me at Tiramisu. It was a gorgeous presentation. « Nomadic Lifestyle – Pros and Cons – Should I Go Nomadic?